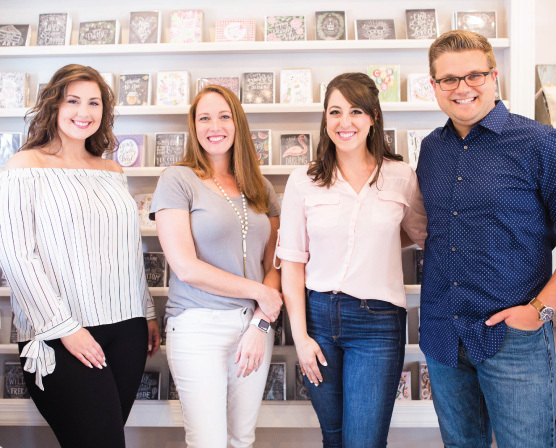 For this post, I wanted to get a bit crafty and share a special recipe that involves crafting the Keepsake Kitchen Diary with Amy Tangerine scrapbook and planner supplies! Amy’s line of scrapbooking supplies with American Crafts is so colorful, fun, and perfect for using in the Kitchen Diary. I love to see how Keepsake Kitchen Diary owners use and love their books. Some people keep things simple, with only handwriting marking its pages. Others, however, use its pages for scrapbooking the recipes and memories in more visual ways. I tend to usually keep things pretty simple in my own Kitchen Diary, but I’ve been inspired to try a more scrapbooked look especially after seeing the amazing creativity from some of my friends like Cori, The Reset Girl. The best part is, there is no right or wrong way to use the Keepsake Kitchen Diary! It’s all about making it your own with what is meaningful to you. The line includes a set of gorgeous washi tape (a personal obsession), “thickers” (thick stickers, made of chipboard), two-sided scrapbook papers, a lovely assortment of die-cuts, and even inflatable ephemera! I was smitten with all of it! The first step to crafting a Keepsake Kitchen Diary spread is to choose a recipe that inspires you. I decided to go with a tropical coleslaw salad that my Mom makes for Spring and Summer occasions. Then, I was able to search through Amy’s lovely supplies to group pieces together into a cohesive theme. Next, I separated die cuts and washi tape that made sense for the recipe. Since a primary ingredient in my Mom’s tropical coleslaw is pineapple, I chose a pineapple theme. This helped me determine a color palette of yellow, gold, pink, and green. Based on the lovely colors of the scrapbook supplies, I then pulled some of my favorite tools for crafting in my Keepsake Kitchen Diary. Tombow Dual Brush Pens and colored pencils are two writing utensils I love to use. Brush lettering looks beautiful on the pages and the colored pencils come in handy for adding light washes of color. My favorite pen for writing the bulk of the recipes in the Diary is a Sakura Micron pen. I find it helpful to separate out the specific pens and tools I will be using onto my desk before I get started. Before gluing a die cut, I like to do some loose planning by experimenting with them in potential spots. I love these die cuts (especially the pineapple) because I can write special recipe notes or instructions on top of them! I added Amy’s adorable pink banner to serve as the “directions” header. The printed illustrations in the spreads offer a chance for coloring in! I colored the spatula with a colored pencil and drew a little drop shadow using a brush pen. On the “Memories” side of the spread, using a washi tape border, I covered the bottom “notes” portion with Amy’s cute striped scrapbook paper. Then, I layered a die-cut on top of the paper along with cut-out pineapples from another sheet of paper. Doesn’t this layering add a fun dimension? Since I love a bit of hand-drawn flourishing in my drawings, my Keepsake Kitchen Diary spread is no different! Using a green brush pen, I drew some loose, random swirls throughout both the “Recipe” and “Memories”pages, which helped further coordinate them. This is my finished recipe spread! I didn’t fill the “Memories” side the whole way because I want room to come back and fill in the different future dates when the recipe is enjoyed! The “memories” page is designed to be a journal that you can return to and add dates and occasions. I really love the bright color palette of the Amy Tangerine scrapbook supplies balanced with some of the pink and yellow pastel colors I added with my pens and colored pencils! It feels so tropical and perfect for the recipe. Also, I recommend checking out Amy’s book, Craft A Life You Love. She gives such practical advice for embracing creativity in your daily life. She encourages incorporating small – but powerful changes into the everyday, which I absolutely love. The power in the small things is something we fully embrace in our philosophy at Lily & Val. In a small bowl, toss banana slices and lemon juice. In a large serving bowl, toss cabbage, pineapple, and oranges. Drain bananas and add along with yogurt and walnuts. Toss to coat and serve immediately. I hope you enjoyed seeing this process! It was fun for me to experiment with something out of my norm. Also, below is a time-lapse video of the entire spread coming together. If you don’t yet have a copy of the Keepsake Kitchen Diary, you can get it here. Thank you so much to Amy for sending me these amazing supplies to use! Lily & Val has received products in exchange for promoting, however, I only work with brands and products that I love and all opinions are my own.